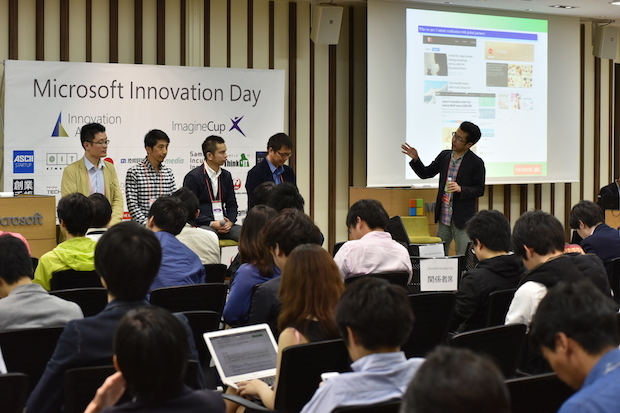 This article is part of our coverage of Microsoft Innovation Day in Tokyo. 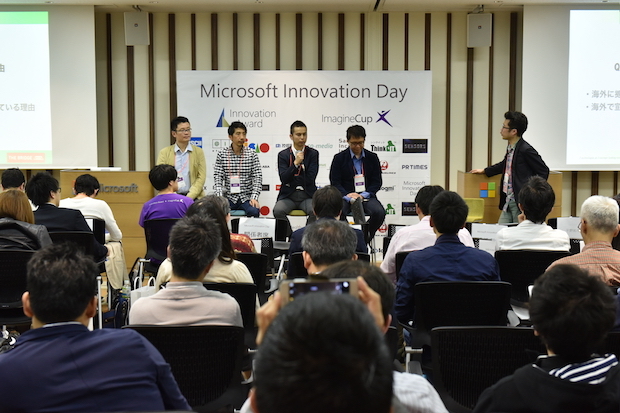 A couple of months ago, I had an opportunity to have four startup founders or executive members gather for a panel session held at Microsoft Japan’s office in Tokyo. To discuss topics rarely discussed at other places, I decided to feature startups that aim or have the potential to challenge the global market… this being one of The Bridge’s missions. Although we often hear the phrase ‘global startup’ it is not easy to create a service which is acceptable anywhere around the globe. This is not only because of differences in culture or languages, but because of the maturity of the market or needs from societies that vary by country (investors or entrepreneurs in English-speaking countries oftentimes express the requirement of some item for alleviation of ‘pain’ in society as a definition of startups). However, startups creating new concepts or values may be seen being likely to develop globally. 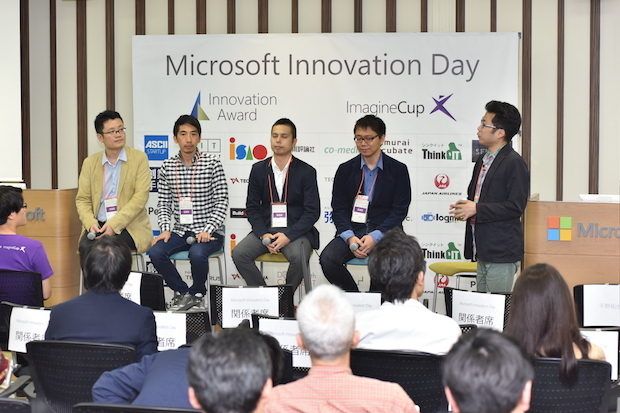 As I invited a few candidates to consider such things, the discussion panel members unintentionally came to comprise fintech/near-fintech startup people. 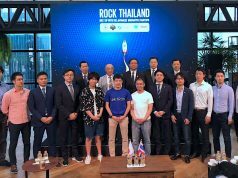 Since the values brought by these startups seem to be much needed anywhere in the world, they can be said to have a background acceptable to global companies or customers alone due to efforts upon localization. I asked about their status thus far and their future strategies, and together mulled means of nurturing Japan into a global startup hub. The mobile app named Kabuto Yohou provided by Zaisan.net informs one of economic news thought impacting stock prices. Once reported, economic analysts who participate in the app will vote on whether the news will impact stock prices or not. The votes are tallied in 30 minutes after reporting said to cause an effect on stock prices, and the vote results are fed back to users. The targeted users are day-traders monitoring stock prices closely. Although even experienced traders’ prediction accuracy for stock prices is said to be about 60%, the app succeeded in raising it to 81% by leveraging the aggregation of analysts’ knowledge. Since the service can be available in any country which has a stock market, we are going to consider possibilities for cooperation with overseas fintech companies or stock markets. As part of this, he participated in the fintech conference Finovate held in San Jose earlier on in May. Fukuoka-based Doreming Asia’s mission is to reduce poverty and inequality in emerging countries. Although it is the poor who really require financial services for a stable life and security, not enough such services are provided in emerging countries. If low-income people with poor credit ratings can receive loans, the service plans will be limited to ones with annual interests of 100%, 300% or even 1,600% due to the high probability of these becoming irrecoverable. Doreming Asia has developed a payroll system enabling calculation of the salary amount real-time before the closing date of companies. Counting the expected amount of work up to that time as security in return, workers can purchase products. The firm has a base in the co-working space called Rocket Space in San Francisco, as well as at Level39 fintech-focused accelerator in London. Knowledge Communication, established eight years ago, originated in providing a community website in the educational field for local cram schools. Since experiencing increases in user traffic especially during the examination season, the firm had introduced Amazon Web Service, which newly started its service in Japan at that time in 2011, into the community website and coincidentally entered the cloud integration business. Recently, the firm has launched a cloud service named Knowledge-Com AI for easy utilization of AI (artificial intelligence) and Deep Learning. Knowledge-Com AI has shortened the algorithm selection time for machine learning to two weeks, which is one-fourth that of the conventional one, and realized automation of the process by a round-robin method of algorithms and parameters. 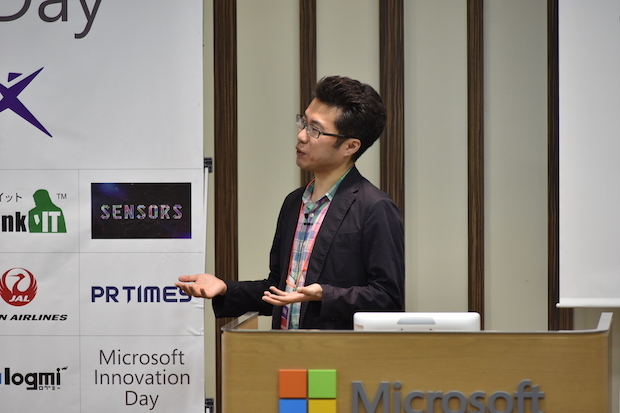 The firm participated in MUFG FinTech accelerator 2016, and its six months’ outcome will be shown on Demo Day of the accelerator being held in August. Alpaca has been developing the trading platform Capitalico with Deep Learning, as introduced so far on The Bridge several times. According to Kitayama, only 5% of the entire trader base can generate profit with general investment trading. By adopting the power of science to trading, Capitalico aims to maximize the possibility of generating profit. User traders can turn their trading idea into an algorithm without any programming knowhow. Speeding up the process of the back test, it will implement a function to inform the best timing for trading to the users’ smartphone. Among the four firms introduced above, Alpaca may be most likely to show a movement toward global expansion. 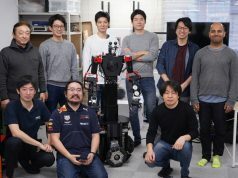 The firm started its business in Japan originally, but has been headquartered in Silicon Valley where CEO Yoshi Yokogawa and CTO Hitoshi Harada engage in daily operations. 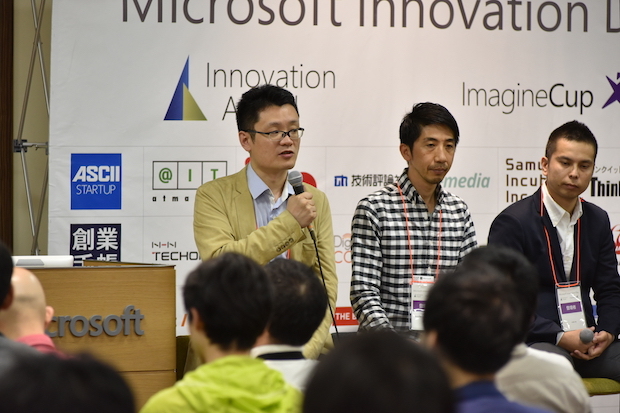 CEO of Zaisan.net Ogino called himself originally as a ‘man of IT, not of finance’ in referring to his work history, having been and engaged in business development department of Itochu Technology Ventures and Gree. He had been interested in bringing knowledge of people who’d been activated by the Internet into the financial field. In this field, a profitable service may be realized only with about 10,000 users due to the great volume of money entailed in transactions, unlike the game or some such field. The app Kabuto Yohou does not charge users, but monetizes by bringing users to stock brokerage firms. 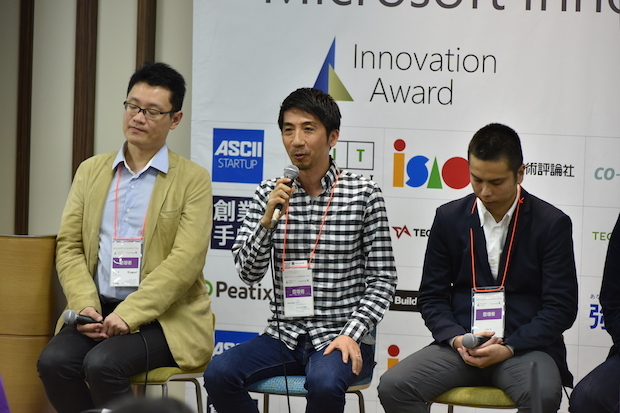 On the other hand, Doreming Asia is a startup spun off from Kizuna Japan which has been developing HR (human resource) system which supports attendance management and payroll for 20 years. 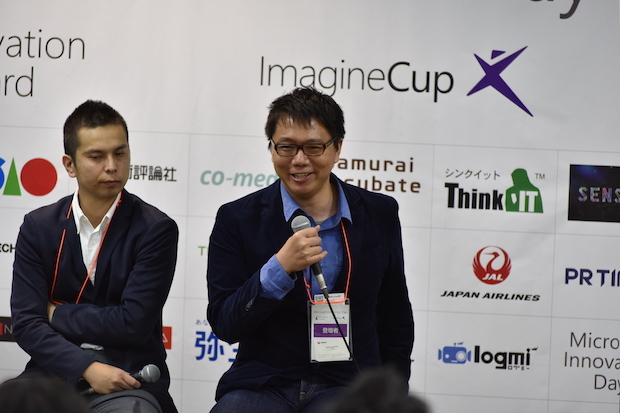 No capital relations exist between them, so Doreming Asia can be called a pure startup. The advantage of Doreming Asia is its solution based on knowledge which Kizuna Japan has cultivated for the past two decades. 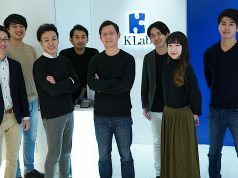 According to CEO Kuwabara, when he showcased the product at TechCrunch Disrupt SF 2015, people from accounting firms in the US were simply astounded by the real-time payroll system according to task or man-hours. Since it is common in the United States to outsource payrolling, the function linkable to accounting and banking system was highly evaluated. Knowledge Communication finds values in absorbing and retaining the latest technologies, then availing them to customers. As technologies are commoditizing very quickly, the firm makes returns to users through fast API developments and provision. To maintain technological levels and employee motivation, its technology team three years ago started a tech blog called ‘Knowledge-Com AWS recipe’ wherein the team investigates, arranges and distributes information about technologies on a sustained basis. Especially in the service field we are dealing with, performance results are recognized in figures. The competition in our field is just like ‘who is the first one to climb Mt. Everest (as top player in the field),’ so basic skills are strongly mandated. 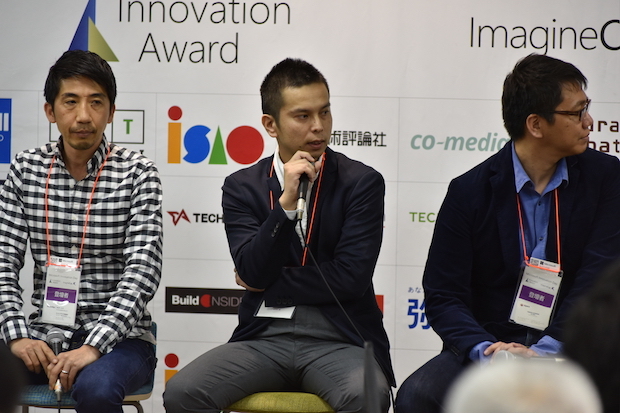 Co-founder / CTO Harada is a professional as to Pivotal and a major contributor to PostgreSQL. In addition, Greenplum CTO Luke Lonergan, who is also known as a ‘speedster’ in the database field, works as an advisor for Alpaca. Thanks to luck and connections such brilliant talents came to be brought together. He is convinced of success in a straightforward manner with these members. By being the top players, sometimes talents who had formerly worked at other startups contact when making a comeback and seeking their next job. From such a viewpoint, staying at the leading edge of technology is important when hiring excellent human resources. Zaisan.net is seeking Chinese analysts upon looking toward the Chinese market. Also it plans to establish a joint venture with an overseas fintech company in any country within this year. The targeted countries including the US, UK and possibly France, Germany, Australia and China. Doreming Asia explains the reason for headquartering in the US; its investment amount into intellectual property rights is quite larger, and there are many payment settlement companies. Also as mentioned above, it makes active use of its UK base because of businesses related to refugees and the preferential tax system, in addition to the four megabanks positioned closer to startups. Knowledge Communication has located its development base at Japan’s western city of Kumamoto now, but is considering overseas development in the future. Already performing business by connecting Kumamoto and Tokyo closely, one day the firm may come to hire international engineers and realize a workstyle not influenced by location. Alpaca emphasizes that it aims to grow in harmony with the world while using Japan’s advantages. Although it was natural to set headquarters in Silicon Valley due to the premised global competition, the reason for not leaving Tokyo office is accessibility to Japanese financial institutions with a huge market and the capture of excellent engineers. We often hear an expression that ‘global’ is a general term for aggregation of locals. Various conditions differ by countries and places: market environment around clients and users for service, existence of investors for fundraising and hiring conditions of engineers for development. When building up a global startup, it is vital to gather knowledge of the global startups scenes. We hope that our gathering much information using The Bridge will help support startups, imaging an international future upon threshing out global strategies.